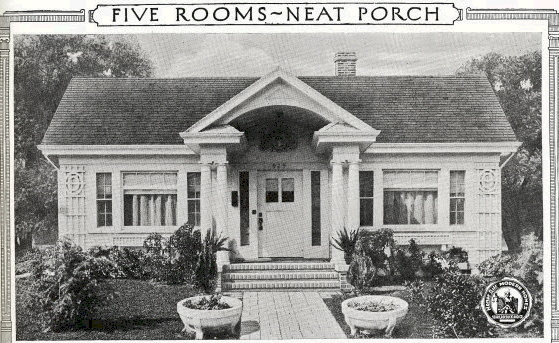 Sears Crescent, from the 1922 Modern Homes catalog. This authenticated Crescent was built in 1921. If the tile roof is original, it was a very expensive option. It appears to have an original front door too. The porte cochere is a tasteful addition to the house. The architect of the Crescent was George C. Nimmons, who also designed the Sears Alhambra.